Shifting into different gears should be smooth and relatively quiet, whether you do it manually or your vehicle does it automatically. When you downshift on a twisty mountain road, shift into reverse to back out of a spot, or even just put the car into drive, the process should be easy. If it’s not, there’s a good chance you could be due for transmission repair or maintenance. Many of us know what it’s like when your vehicle makes a strange noise or feels a little jerky when changing gears. Perhaps one specific gear feels a bit rough, or there might be an odd leak or odor that you can’t quite identify. All of these symptoms can be traced back to an issue with your transmission or clutch, and if they aren’t addressed fast, you’ll find your beloved vehicle going nowhere in a hurry. Fortunately, the professionals at The Shop Automotive can handle all of your transmission repair and clutch needs with precision and professionalism. Our ASE-certified technicians are factory trained by General Motors, Volkswagen AG, Bosch, and. Plus, we have more than six decades of combined experience, which makes us qualified to efficiently resolve transmission issues in any domestic or foreign vehicle on the road. After the work is done, you can resume your adventures knowing you’re covered with our 36 month/36,000 mile warranty. You’ll also see that pricing is competitive and fair. 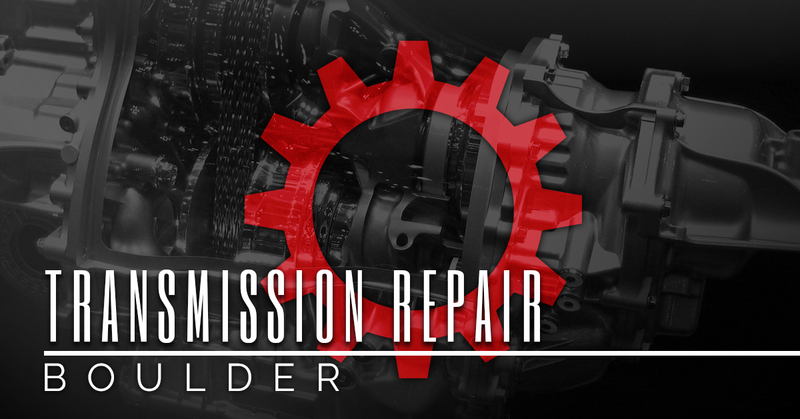 For more information or to schedule a reliable transmission repair in Boulder, contact us online or by phone today. If you are experiencing any of these issues and need transmission repair in Boulder, The Shop Automotive can handle it. We are proud to be Boulder’s one-stop automotive shop!